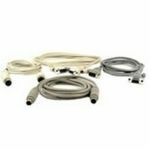 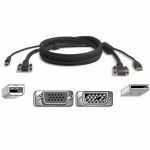 3m 2-in-1 cable set for VGA monitor and USB keyboard/mouse. Each includes a VGA cable and a USB 2.0 cable. 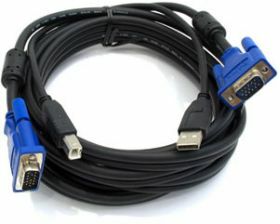 Connectors supported include video (15-pin HDD male) connectors and USB connectors that plug one end to the PC, the other end to a KVM switch.